Who says lightened up has to be boring? 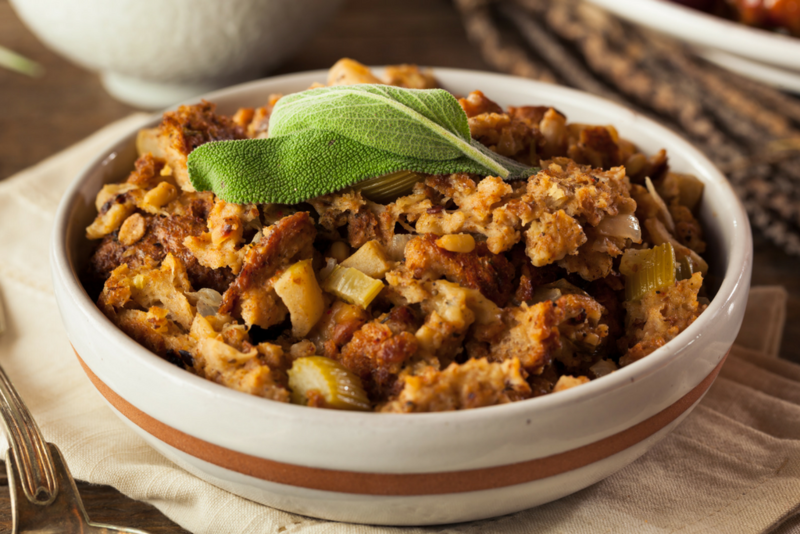 This light dish is a sure crowd-pleaser you and your guests will surely love. Over medium heat, fry bacon in large fry pan for 2 minutes. Stir in butter and melt. Add onions, celery, parsley, sage, pepper and salt to pan. Cook on medium-low heat until soft and onions are translucent, 5-10 minutes. Turn off heat and cool.